(ลอยกระทง) is a festival that is celebrated in Thailand, Laos and some other places in Southeast Asia that have a Thai or Tai heritage. 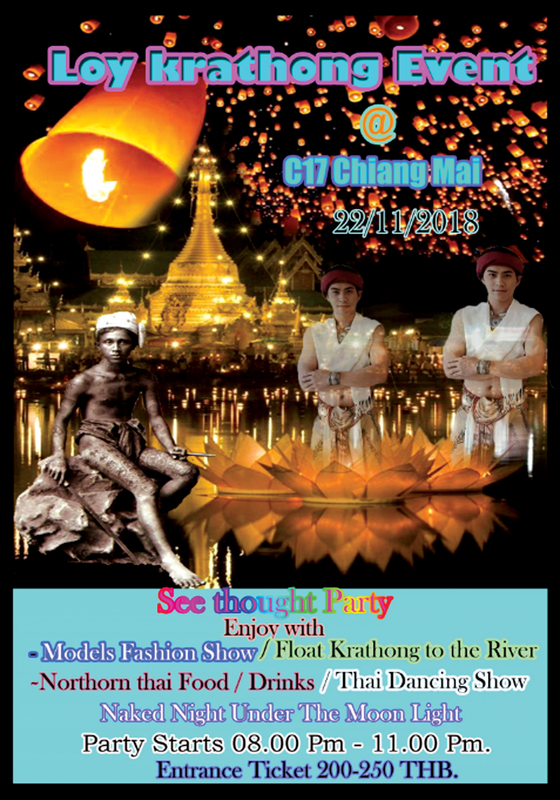 The Loy Krathong festival takes place on the evening of the 12th month in the traditional Thai lunar calendar. The dates of Loy Krathong change every year. This is always a source of confusion. Loy Krathong usually falls in the month of November.In Chiang Mai the festival is also known as Yi Peng or Yee Peng Festival. It last three days. The first day is the lantern festival, the second day is the full moon day and the third day is now the day of the Loy Krathong parade. Loy Krathong is not an official public holiday in Thailand. Most activities take place after dark. In 2018 the dates are November 21, 22 and 23.